Striping Your Parking Lot: 4 Steps To Get The Job Done Right! Are your parking lot stripes beginning to break down? Is the paint cracking due to erosion and the sun’s radiation? Below are four crucial steps to undergoing the parking lot striping process. Whether you’re constructing a brand-new parking lot or your existing lines have faded over time, contacting a credible, friendly and timely striping company is important. A customer service representative will listen to your project plan, explain your project options and schedule an inspection with a trusted crew of striping specialists. When the experienced group of operators get to your site, they’ll gauge the amount of work your project will require. They will inspect the area from main street entries and exits to ramps and directional signals. This is when specific measurements are made and most of your questions will be answered. This step is the most difficult yet crucial of the striping project, which is why it’s important to find a company that you’re comfortable with. At this point of the process the highly skilled striping crew will use their experience and specific tools to decide what type of paint to use, what kind of stripe is best, and what type of local codes need to be met. A quality striping company will pay detailed attention to overhangs, safety hazards, and ADA regulations. After meeting with you, inspecting your property, and making the appropriate plan, the brand-new lot stripes will be implemented. The proper safety signs will be placed to ensure the well-being of any employees, clients or innocent bystanders. Parking lot stripes may seem like a minor part to any project, but making sure they are executed properly is no easy task. Find a company you trust. Give us a call at (808) 591-6086 if your parking lot needs a face lift. 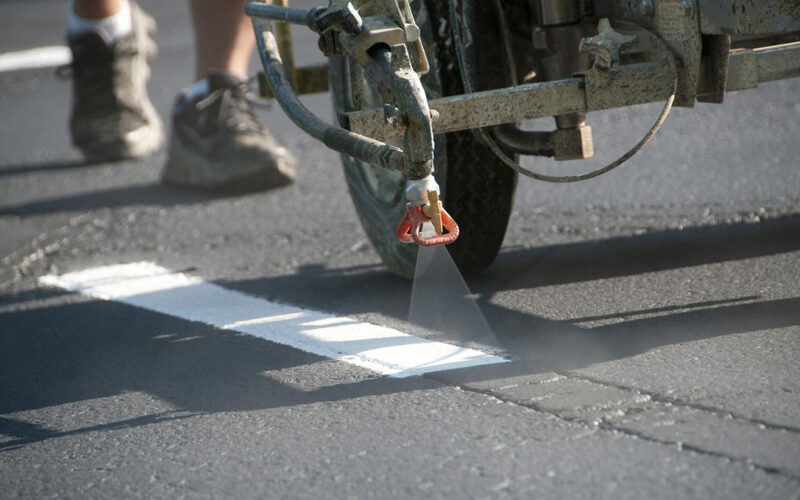 We’re here for you and all your asphalt maintenance and repair needs.